Hit next-level on your layering game with this black Mesh Peplum T-shirt. 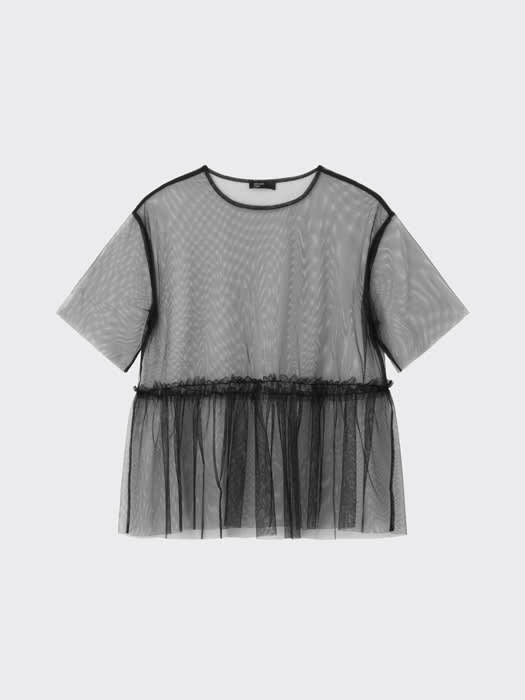 In a semi-sheer fabric, ruche detailing to the waist provides added attention-to-detail. Throw it over tees, jumpsuits and slip dresses alike for an instant win this summer.